Provide comfort for the family of Leon Supranowicz with a meaningful gesture of sympathy. Leon Valentine Supranowicz lived 90 years in Pittsfield and his family is grateful to have had him so long in their lives. Peacefully, he passed from this life on January 31, 2019 at Berkshire Medical Center. His was a great heart with a patient spirit, the best listener, always thinking of others first. Leon’s loving and kind heart was so strong that his family and friends often relied on him as a source of wisdom and guidance. Young sweethearts, Leon and his wife, Manuela, were married almost 70 years. His family will miss his love and presence: daughter, Elaine Chapman (husband Eric) and their children, daughter, Emily Hardy (husband Troy) and their children, Evan and Ryan, and son Elliott Chapman; daughter, Joan Williamson and her children, son, Matthew (wife Jesseca) and their children, Ethan and Claire, and daughter, Lauren Cabral (husband Michael) and their daughter Joey; daughter Lyn Doran (husband Jim sadly passed away at this time last year), and her son Nicholas; and son Paul Supranowicz (wife Vikki) and their sons, Leon, Scott, Shawn, and Joey (Kristin) and their children Logan and Ella. Leon loved his wife, 4 children, 9 grandchildren, and 7 great-grandchildren. He is affectionately called ‘Papa’ by all grandchildren and great-grandchildren. Leon was born on July 24, 1928 to Paul and Jadwiga Supranowicz, who both came to this country from Poland. He was the 7th of their 12 children, with 5 brothers (John, Victor, Emil, Donald and Stanley) and 6 sisters (Pauline, Stephanie, Adele, Edith, Teresa and Louise). Leon has two surviving siblings, older sister Edie Farr, lives in Dover, New Hampshire, and his younger sister, Louise Filio, in Wilmington, MA. Leon told many stories of his life with his great big family on the hill of upper Linden Street. The Supranowicz family is extensive with about 50 of Leon’s nieces and nephews, their spouses, children and grandchildren. His only remaining sister-in-law, Generosa Murray, has always been a special person to him. Leon was raised as a Roman Catholic and had been a member of Mt. Carmel Parish. Leon attended Pittsfield High School and Berkshire Business College. 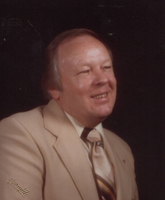 He worked in retail furniture, insurance and in business with his wife. Leon was a veteran of the U.S. Army. He and his wife enjoyed the Polish Falcon Hall and Italian American Club. During his lifetime, he enjoyed dancing, traveling, golf, cooking, playing cards with family, and being the head chef at family backyard cookouts! Leon was a great fan of the Red Sox and the Celtics. He was the master of ‘chit chat’, as he called conversations with others of just about anything and everything! Leon’s life maxims were many (e.g. ‘if it’s worth owning, it’s worth taking care of’) and they will be remembered always by those who knew him well. Lee, Dad and Papa---we carry your heart, we carry it in our own hearts! The family is grateful to the medical staffs at Berkshire Medical Center, Mt. Carmel Care Center, as well as several other facilities in the community who provided great care for Leon in the past years. In addition, Leon received outstanding care from his primary physicians, especially Dr. Jason Kittler and staff, and from several specialists in the area. Memorial services will take place at Dery Funeral Home on Saturday, February 9, 2019. Visiting hours will be 12-2 p.m., with spiritual blessings at 2 p.m. Burial will be private at the family’s wishes at a later date. In lieu of flowers, Leon asked that you donate to St. Jude’s Hospital for Children. To send flowers in memory of Leon Valentine Supranowicz, please visit our Heartfelt Sympathies Store.